Cut off the bottom part of a plastic bottle and what do you see? A perfect flower design! 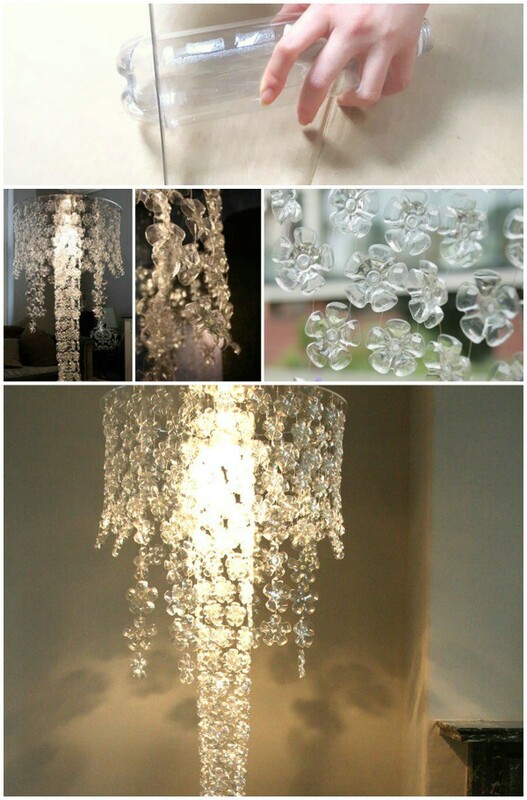 This chandelier is very easy to make; all you need to do is string your plastic flowers together with some fishing line. There’s also a lot of room for your own creativity: you can create the exact shape that you want and can even paint the flowers so that you end up with a truly one-of-a-kind recycled chandelier.